American supermodel Kate Upton along with her Houston Astros pitcher husband, Justin Verlander have made public both are parents now. The 26-year-old actress-model who has named the Sports Illustrated Swimsuit Issue Rookie of the Year took Istagram along with sportsman husband on Saturday to share the news with fans that they have welcomed a baby daughter. Upton has also set her daughter name Genevieve Upton Verlander on which Verlander nod happily admiring her wife’s wish. However, cutest Genevieve’s father penned, “Welcome to the world Genevieve Upton Verlander. You stole my (heart) the first second I met you!! !” by writing Wednesday’s date to the message. He also added penning she was received by Upton and him three days ago before they shared the news of her birth via Instagram. In this photograph, The Layover star and her husband from Manakin-Sabot, VA, both holding hand the tiny left hand of their new born daughter. Upton is one of the sexiest models in the world, reportedly feeling great joys to have a baby girl in her lap, took Instagram to share a picture of the baby girl’s face and her left hand. In early 2014, Upton reportedly began dating Detroit Tigers baseball player Justin Verlander, while both were engaged in 2016, their love relationship turned into husband wife in November 2017, married in Tuscany, Italy. 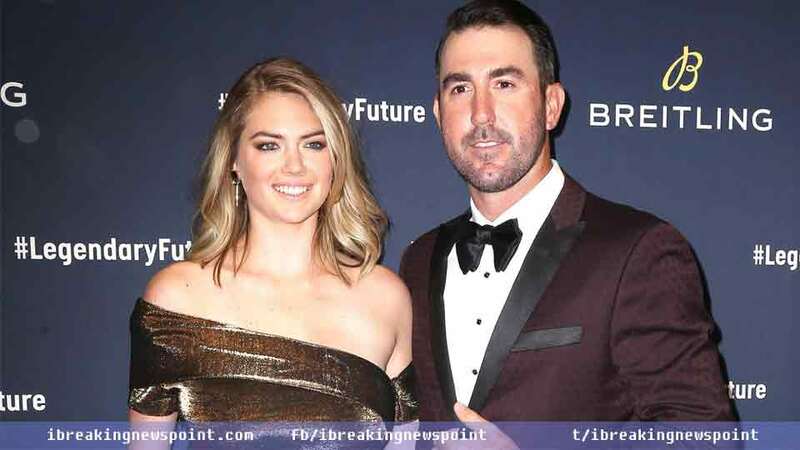 American top model officially announced her pregnancy in July 2018 and on 7 November, 2018, couple has welcomed a baby girl named Genevieve Upton Verlander.